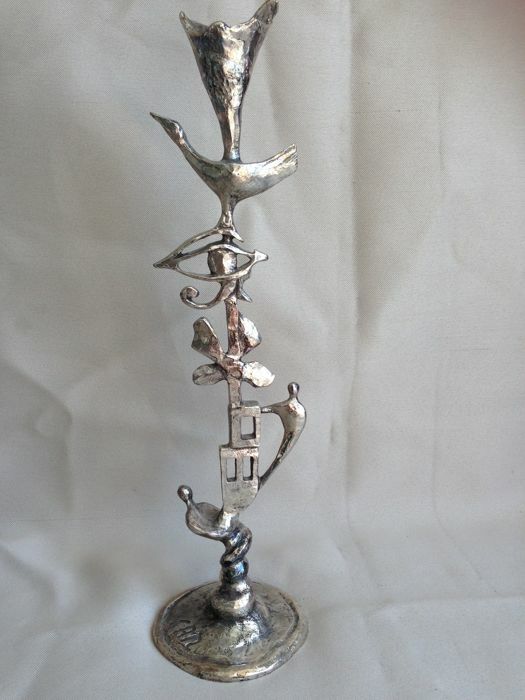 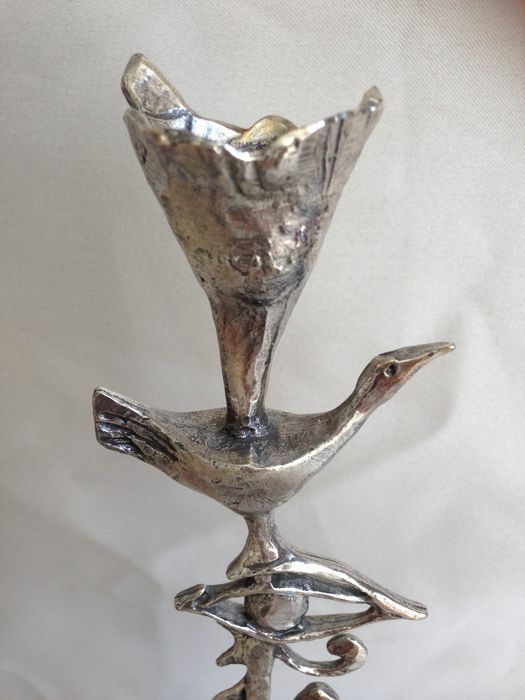 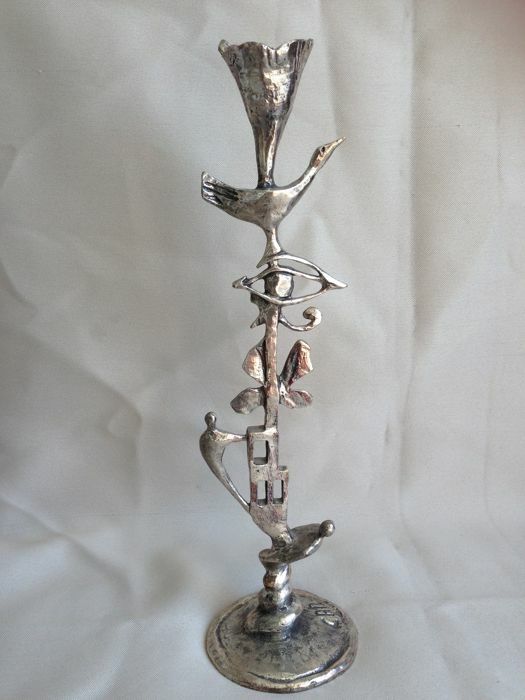 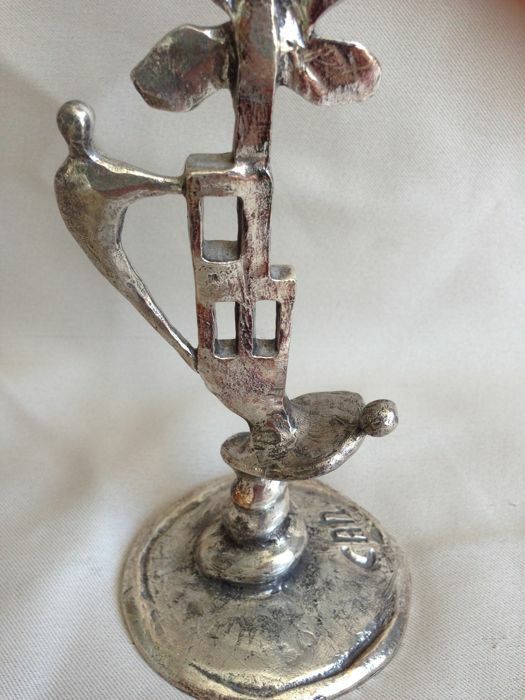 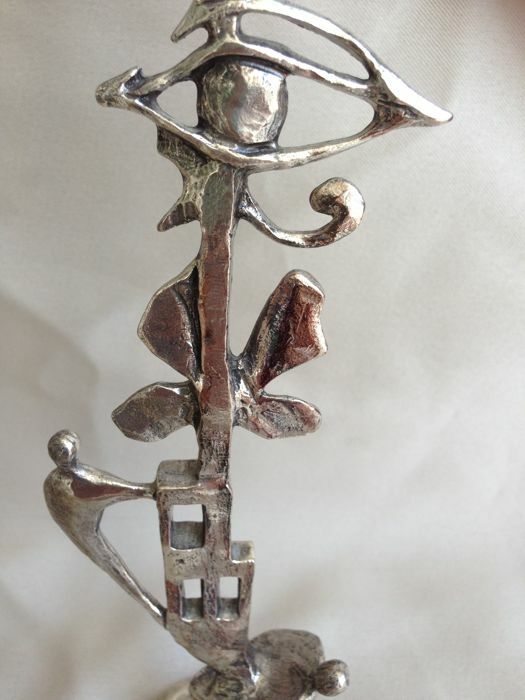 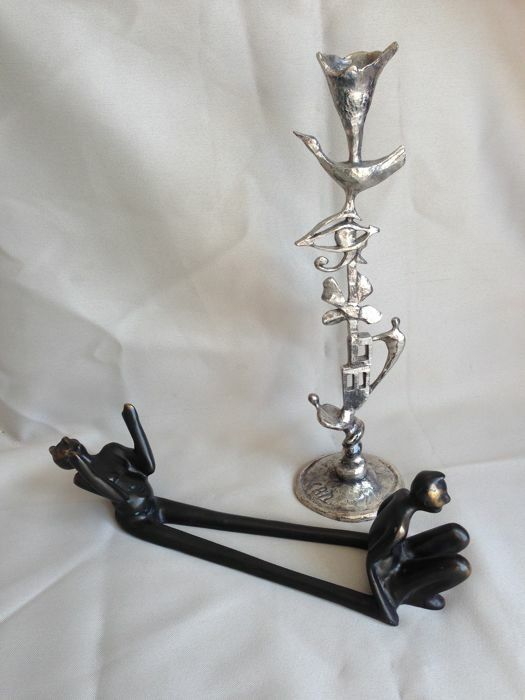 A silver-plated candlestick with unusual figures. 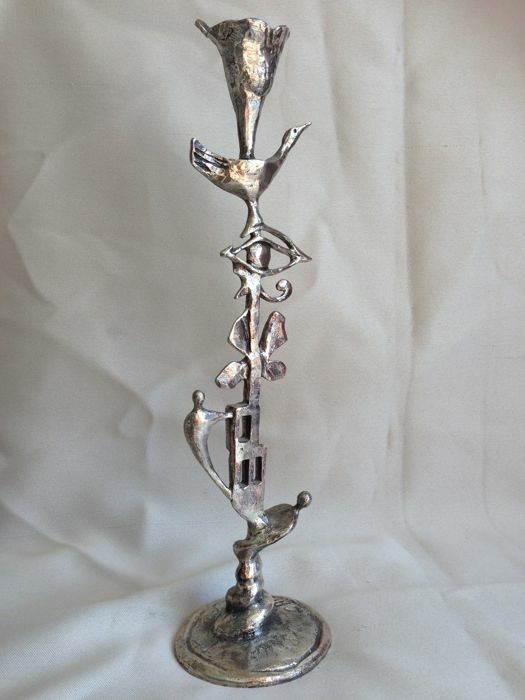 30 cm high. 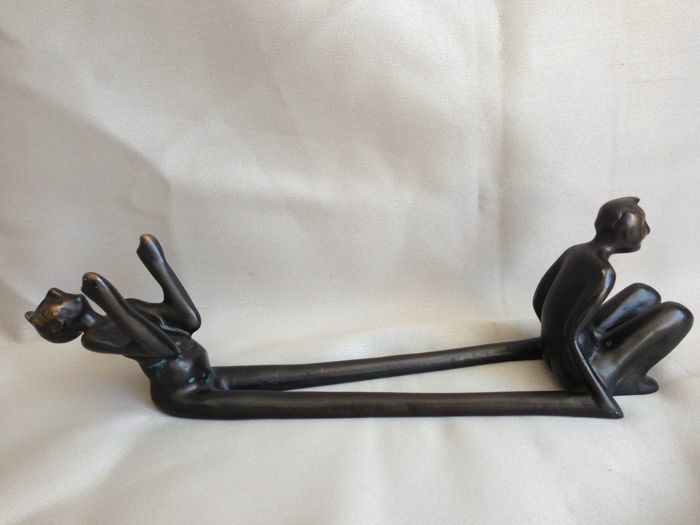 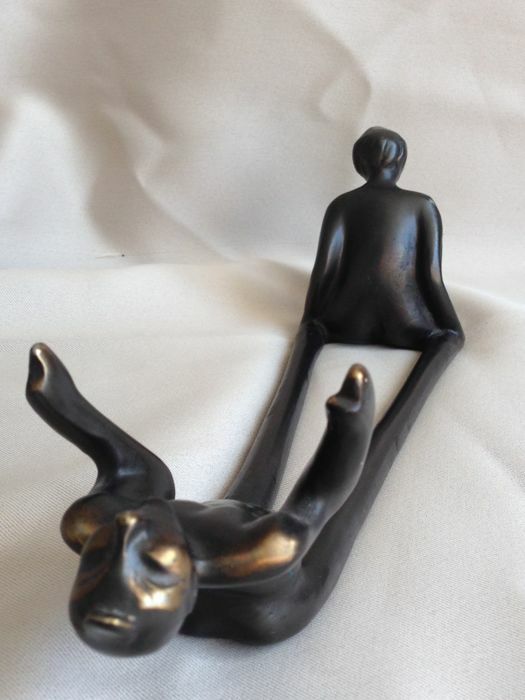 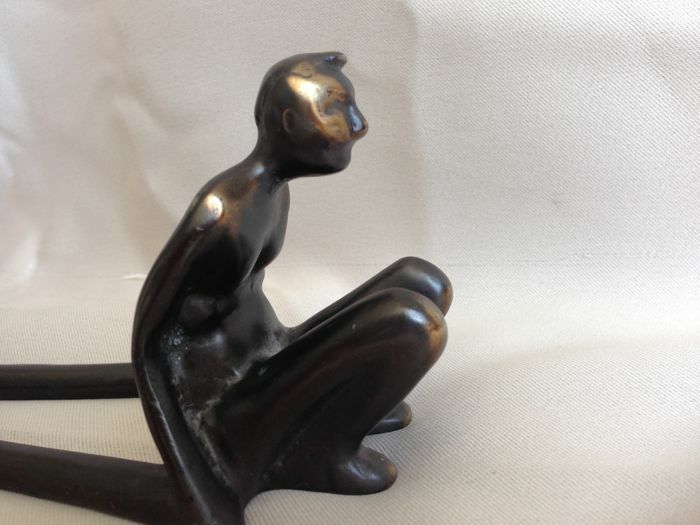 The nice bronze wine-bottle holder of 30 cm in length. 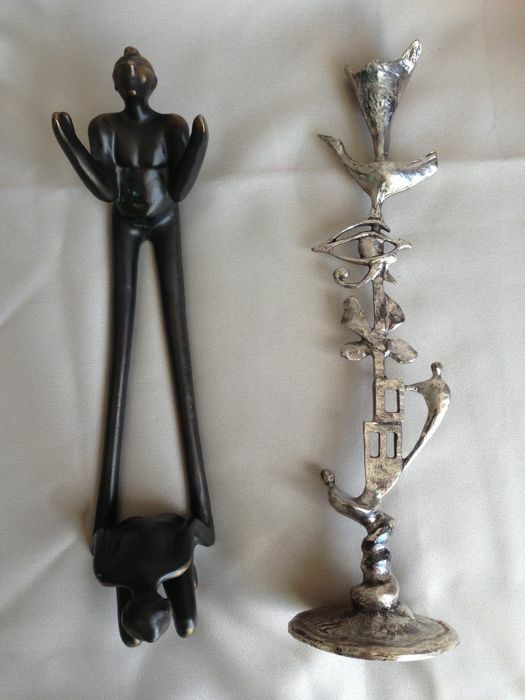 They are in fine condition and will be shipped well packaged, with a track-and-trace code.